ABOUT THE CAPTAIN: INFO: Capt. 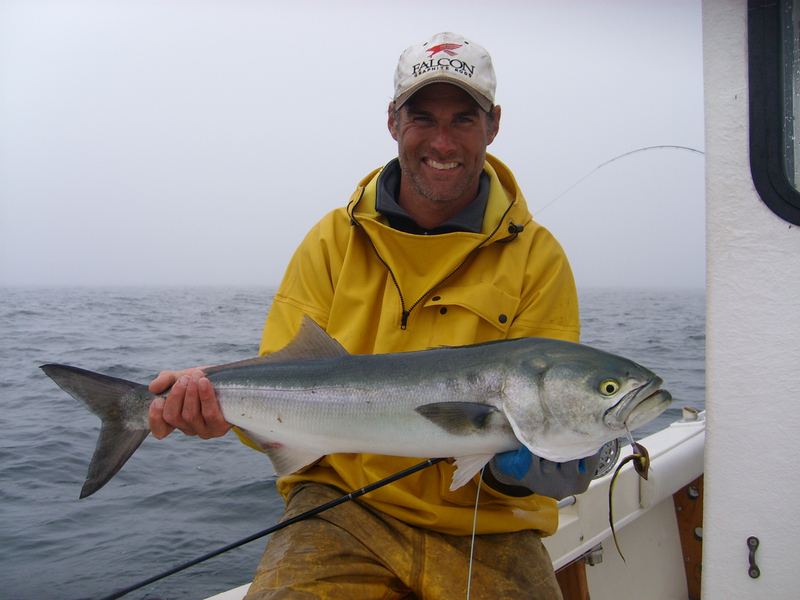 Josh Zacharias has spent his life fishing and navigating the waters around Cape Cod. Capt. Josh Zacharias has spent his life fishing and navigating the waters around Cape Cod. Born in Truro and raised on the Provincetown waterfront, he got his sea legs about the same time he learned how to walk. His seafaring career officially began at age 14 when he got a job as a mate on the Dolphin Fleet, working side by side with the legendary Capt. Al Avellar. A career in commercial fishing followed, and over the years he continued to build his reputation as a formidable surf caster, guiding day and nighttime bass trips on the outer beaches of the Cape. When wider horizons beckoned he spent his time in the blue water canyons south of the islands and the ocean waters to the north and east, hook-and-lining and harpooning for giant bluefin tuna. Josh credits his father, Capt. Zach Zacharias, with teaching him what it takes to be a great fisherman. For 30 years Capt. Zach has been a light-tackle guide out of the fishing village of Cortez on the west central coast of Florida. Josh holds a USCG master’s license and is certified in first aid and CPR.